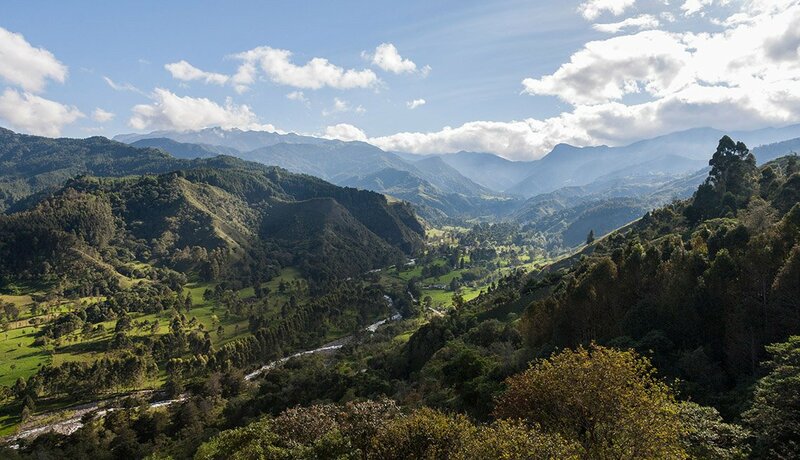 En español | Latin America's natural reserves and protected lands — many designated as UNESCO World Heritage Sites — provide refuge and habitat for hundreds of plant and animal species, as well as indigenous tribes. It's as though time has stopped in the cenotes, pits formed by the collapse of porous limestone bedrock to reveal clear groundwater pools. The Maya considered these places sacred portals for communicating with their gods as well as sources of water during times of drought. There is a legend for each cenote that relates to origin and surrounding landscape. You can swim or scuba dive in some pools; all are wonderful destinations for photographers. 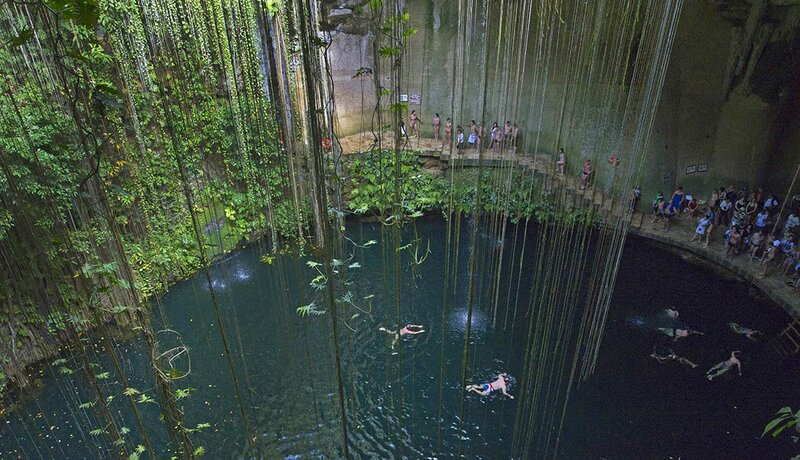 Ik Kil, part of Ik Kil Archeological Park near Chichen Itza, is one of the most popular cenotes. 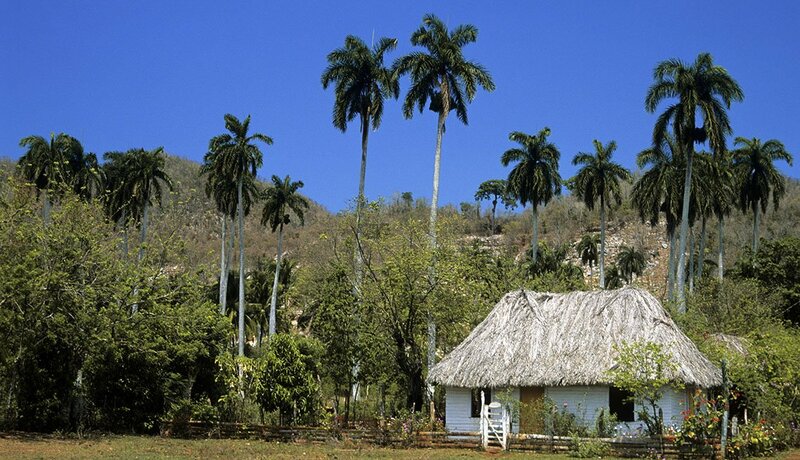 Here is the best-preserved mountain ecosystem in the Caribbean and one of the most biologically diverse places in the world, home to a wealth of endemic flora and fauna that includes a variety of parrots, lizards, hummingbirds and snails. The park, named after explorer Alexander von Humboldt, who first saw it in 1801, encompasses breathtaking scenery: forests, mountains, crystal-clear rivers and waterfalls. 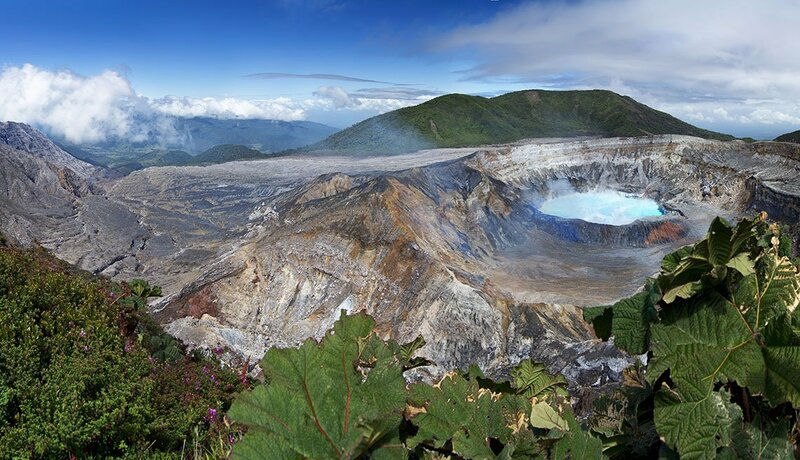 The volcano, which rises to 8,885 feet, is a perfect day trip for any Costa Rica vacation. Thermal activity produces a boiling, multicolored lagoon within the enormous crater, surrounded by smoke and steam rising from fumeroles. 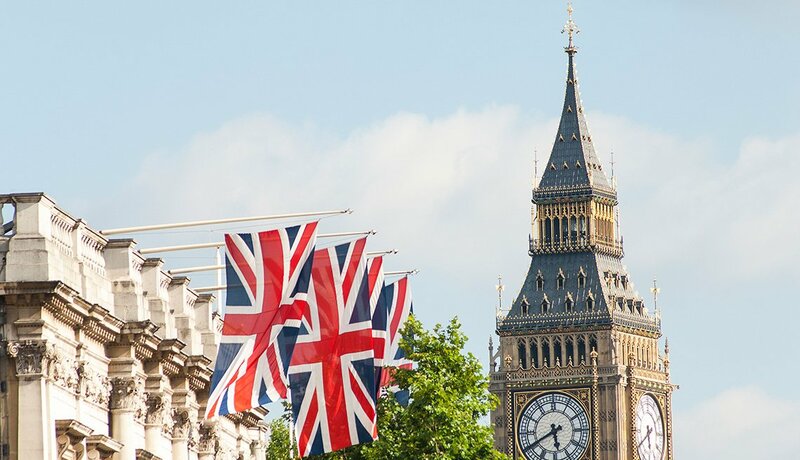 The best time to visit is between 8 a.m. and 1 p.m., when the mist and clouds part. The volcano, dormant for many years, provides an excellent example of the effects of acid rain. Tainted moisture that precipitates from the clouds near the peak stunts and taints the vegetation brown and black around the caldera and for several miles downwind. 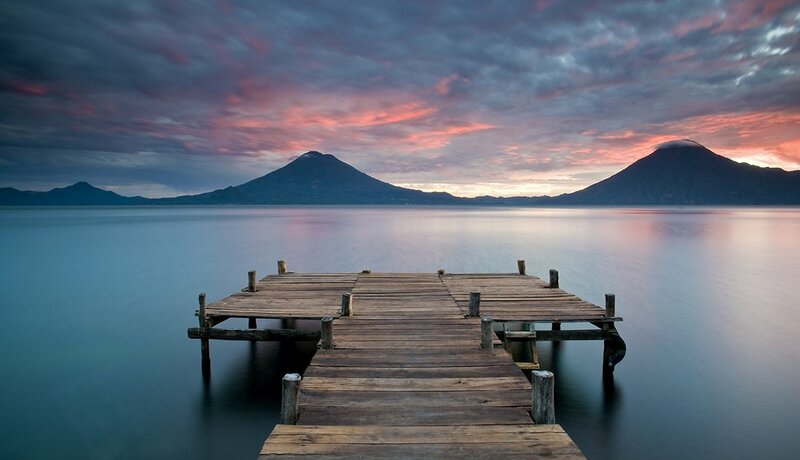 Lake Atitlán, one of the most beautiful spots in Central America, was formed some 84,000 years ago by an enormous volcanic eruption. The 50-square-mile lake, where you can swim or boat, is surrounded by three magnificent volcanoes: Atitlán, Toliman and San Pedro. Hiking trails abound, and there’s zip-lining for adventure. If you're lucky, you may see the strikingly colored quetzal, Guatemala's national bird. You can also visit neighboring villages: Santa Cruz La Laguna, San Pedro or the somewhat more festive Panajachel. 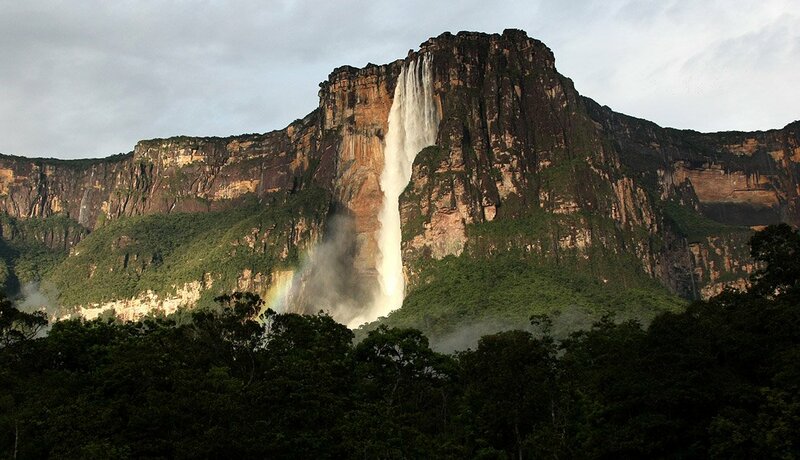 It's the home of Angel Falls, at 2,648 feet the highest waterfall in the world. The charms of the 12,000-square-mile park (the sixth-largest reserve in the world) lie mainly in its rivers and waterfalls, which you can reach mostly by canoe. 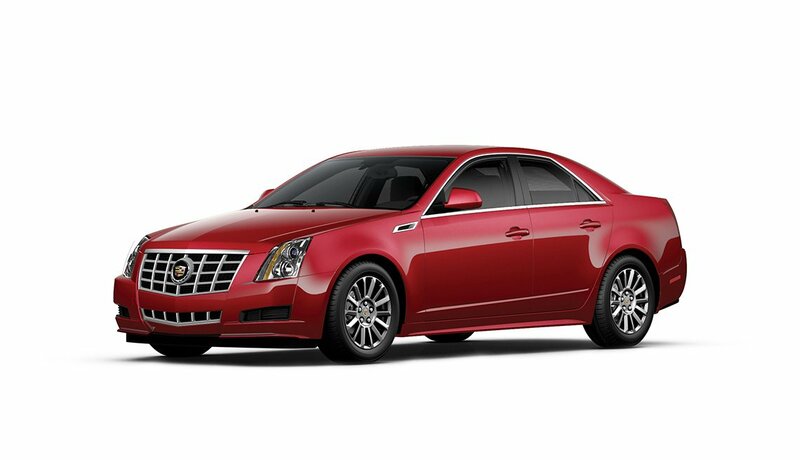 Many touring options are available. Look out for anteaters, foxes, jaguars and falcons. This wide green valley (one entrance to Los Nevados National Park) boasts an abundance of wax palms, Colombia's national tree, which can reach a height of close to 200 feet. Hike in the rain forest, ride horseback through the cloud forests or try camping. A 30-minute drive will take you to the town of Salento, where you can enjoy coffee in a shop on one of the colonial-era streets. It has 660 glaciers, 300 lagoons, a few gorges and a mountain of the same name, with an elevation of 22,205 feet. 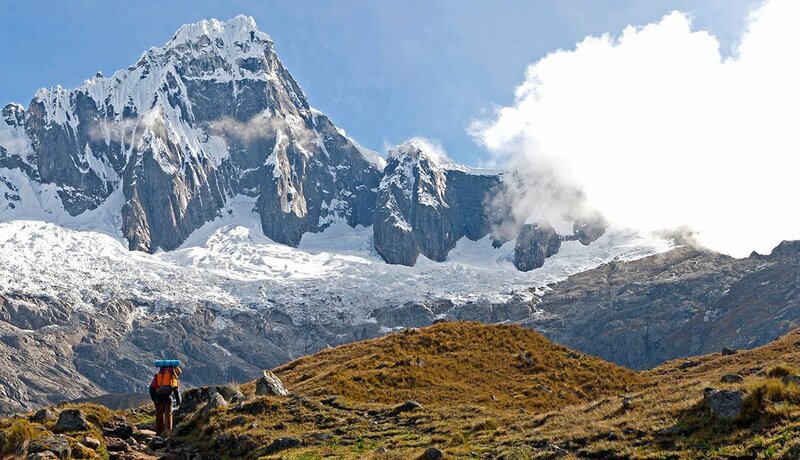 The park is home to the world's highest tropical peaks, the Cordillera Blanca — intensely turquoise lagoons formed by glaciers — and spectacled bears, pumas, deer and condors. Skiing, hiking and biking are popular activities here. This tropical paradise is perfect for hiking deep into the jungle to spot monkeys, jaguars and a variety of reptiles along with exotic flowers and medicinal plants. Listen to the songs of almost a thousand bird species. Six indigenous tribes here keep their traditions alive and welcome ecotourists with such activities as fishing and crafts. 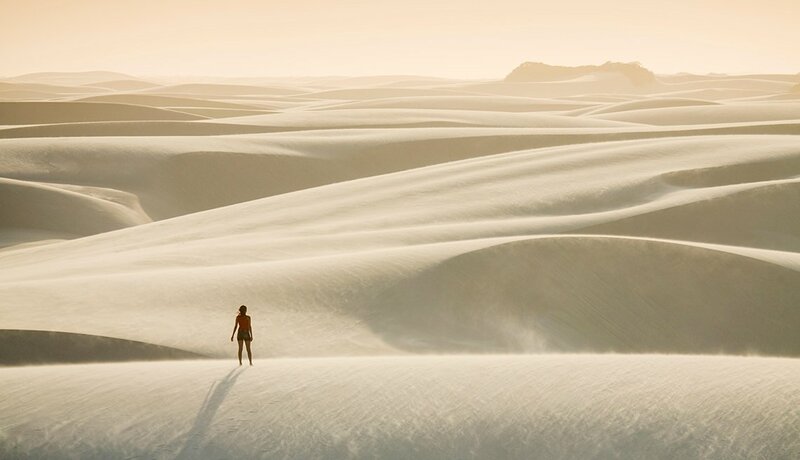 Here you’ll find a vast system of wind-sculpted, white-sand dunes interspersed with crystal-blue lagoons. 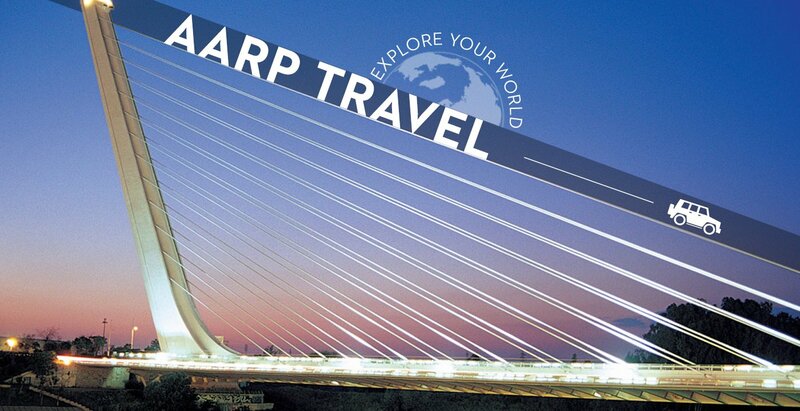 Adventure begins in the town of Barreirinhas, a 40-minute flight from São Luís. Tour the park by jeep with a guide; wandering on your own will get you lost. The water level in the lagoons is highest between June and September. 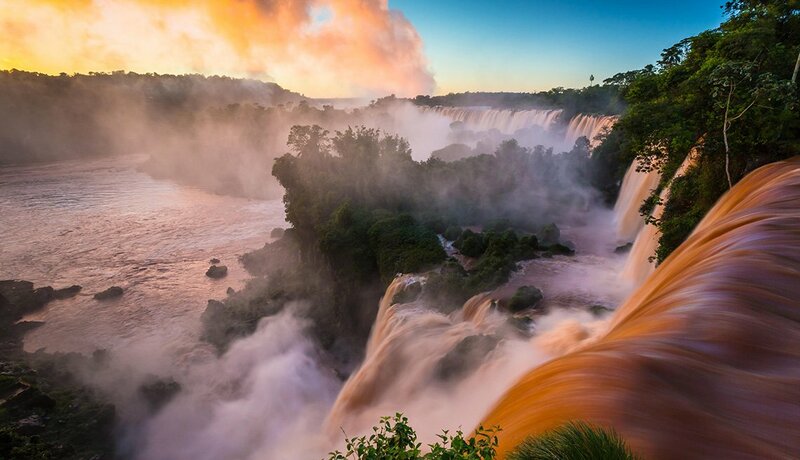 The semicircular waterfall at the heart of this park includes 275 cascades spanning part of the border between Argentina and Brazil. 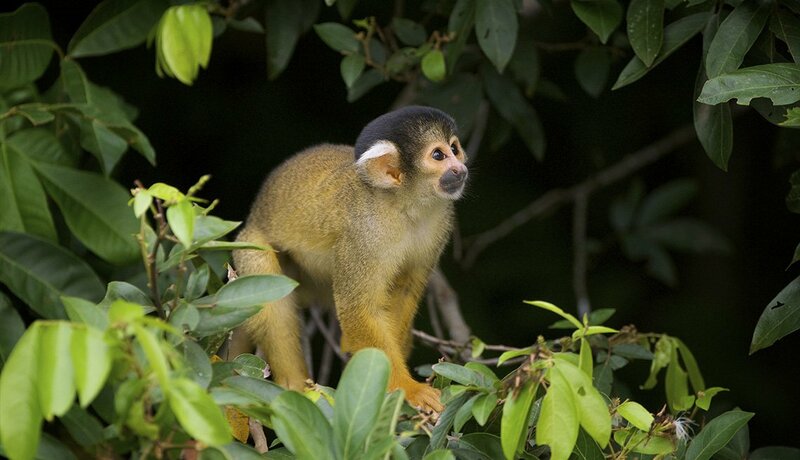 The surrounding subtropical rain forest is home to more than 2,000 species of plants and wildlife that includes tapirs, giant anteaters, howler monkeys, ocelots, jaguars and caimans. A narrow-gauge train runs through the park’s forest. Rapa Nui, on Easter Island, preserves the archaeological remains of the Polynesian culture that settled here around 300 A.D. The moais — giant figures sculpted in stone — still pose a mystery as to how they were built and transported. 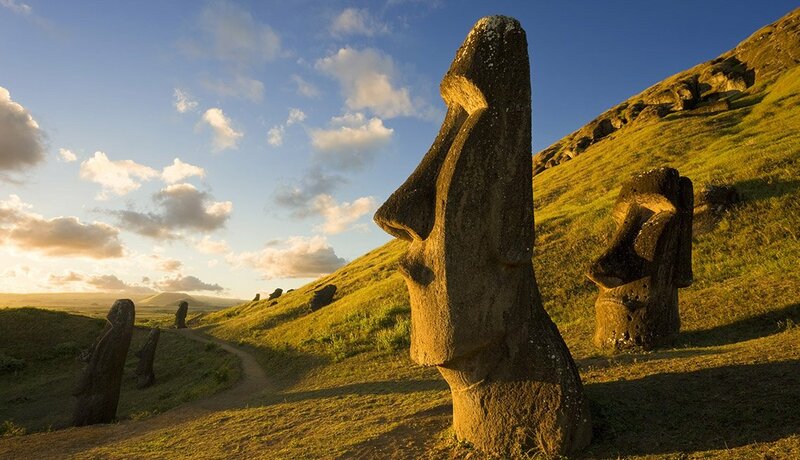 Easter Island is the most remote inhabited island on the planet, more than 2,000 miles from the coast of continental Chile. 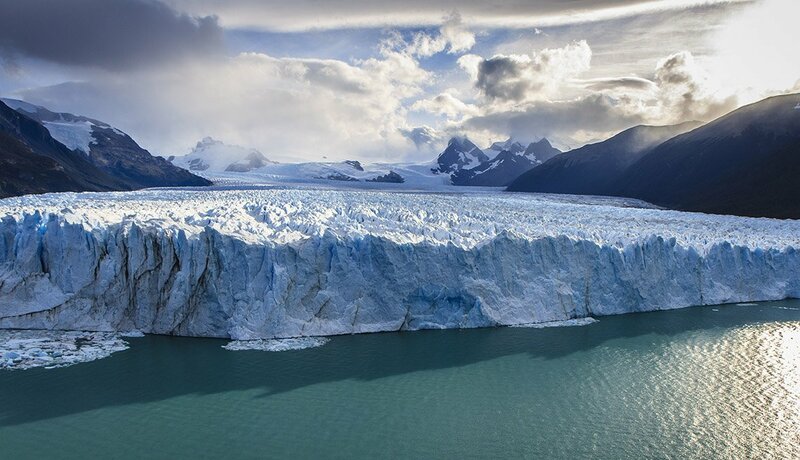 The park is home to the Perito Moreno glacier, almost 100 square miles of ice — and the world’s third-largest reserve of freshwater. You can trek on the ice or view the frozen landscape from Argentino Lake with a number of tour companies, enjoying a wondrous silence occasionally interrupted by the crashing roar of falling blocks of ice.